SMALL KUCING: Oh No! I Have Turned Into A "Fairy"
Alamak! when did I become a "Fairy"? Have my birdie flown away in the night? Am I dreaming? I am on a Billboard? Yikes? My photos in gallery? Surely am dreaming. Aiks? 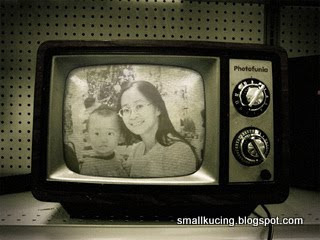 Bila pulak Mamarazzi and me acted in old movies? And why this angry looking "gentleman" holding my photo? Ada hutang kat dia ka? Wah lau eh....am getting heart attack liao. Mamarazzi was unsure about the copyright of the photos thus she wrote to Photofunia Team to ask whether she can use these for her blog and surprisingly the reply came within a few hours and they replied it's alright. Thank you very much Photofunia.com! Ha ha ha, cute. I like the one in the old television movie! My daughter would love this site! 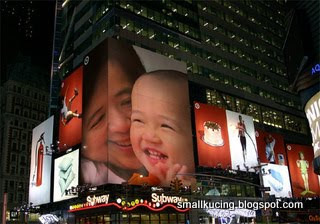 I like all :-) The fairy one is cute, the billboard one looks like a real ad, and the old movie one... classic! I've made dozens of them, Chleo.Went mad last night playing with the photos. This is a great website. I also played with some of my kid's photos and like the outcome. I've also blog about it few months back. hahaha...as of now, after seeing your Facebook one, I did the same with Juan Or's photos, only now waiting to put up a new blogpost on this. Thanks for the link (and to Boey Joey too!)! hahaha...having fun with photofunia huh? 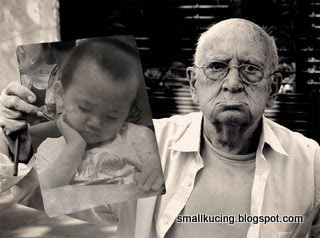 hahahhaha..so cute! I love the first fairy picture & the billboard one. Nice! Did you went there and play around with it? MRC. Mamarazzi gone nuts. Play with it till 4.30am the other day. 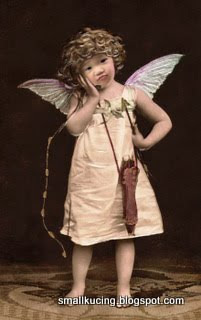 Mamarazzi, that's not a fairy lah... that's Cupid... fairies dun use bow and arrows... tsk tsk tsk. Fairies uses wand you know... I'm a fairy, so I know. Cupid no good wan, shoot people's heart and make them bleed! Very kanasai feller! Ohh..not "fairy" ah? Good la. mesti ramai kembar u kan?